When it comes to ensuring that your customers (both existing and potential) remember you days, weeks, months or even years down the track, creating a brand identity is essential. One such way to achieve this is by handing out promotional products, like custom stubby holders, as they’re something that people are likely to hold onto and reuse. In this article, we’ve explained how to create a brand identity using these holders. One of the main reasons that these holders are such a fantastic choice is that they offer great value for money. Many of the promotional products available will set you back a pretty penny, so it’s understandable that you’ll want to look for products that aren’t as costly. Holders provide you with ample space in which to include your branding and other graphics. This ensures that, no matter which angle a customer looks at it, they’ll be confronted with your brand. The graphics can also be in full colour and matched to your brand as closely as possible. Many of these holders are made from neoprene due to its ability to provide your drink with insulation. There is a wide range of colours to choose from (including navy blue, burgundy, red, yellow, orange, green, dark green, black, white, pink, purple and grey). 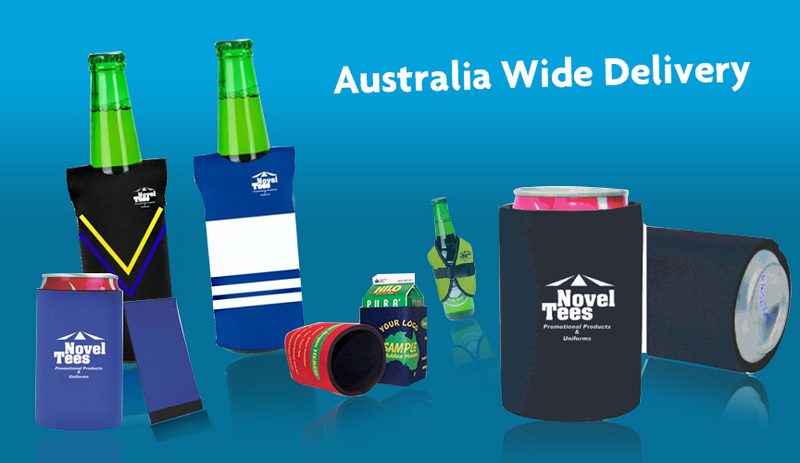 Your choice of graphics and logos can be included on custom stubby holders. Whether you want to include a photograph, a drawing or some other sort of digital graphic, the finished product will look fantastic. Don’t hesitate to speak with a graphic designer if you get stuck. For most holders, you have the option of having them delivered with or without a base. Without a base, there is less material and stitching that you have to pay for. With a base, you can ensure that the drink doesn’t accidentally slip out of the bottom mid sip. It’s important to remember that not all cans and bottles are of the same size. If you have a particular drink in mind, you might be interested in a custom sized holder that is designed specifically to accommodate it. This will ensure a snug fit that is like a second skin. Many of the holders currently on the market are made right here in Australia, which means that you can support local businesses as well as provide your customers with a useful promotional product. People like to know that you support Australia, not overseas pockets. If you’re trying to create a brand identity for your company that cements it as an industry leader with a rock solid reputation, we hope that you’ve found the information provided in this article useful. As you can see, custom stubby holders are a perfect way to achieve this – everyone uses these holders to help keep their drinks cold and to protect their hands from the cold. Don’t be afraid to ask for assistance if you require it.